Authors: Baykova M.A., Merinov A.V. This article is a review of literature data, devoted to the influence of alcohol dependence of parents on the suicidal and personality-psychological characteristics of their offspring. Despite a decline of the incidence of alcohol dependence in the population, in Russia about 15-50% of families can say that they have encountered the problem of an alcoholized parent. Adult children of alcoholics (ACAs) are a fairly extensive, highly autoaggressive stratum of society. This group of people is the most dangerous in terms of the frequency of development in them of various kinds of addictions, as well as the likelihood of committing a suicidal attempt. The purpose of this review was to present modern ideas about the suicidality of adult children of alcoholics, their socio-cultural characteristics, personality and psychological characteristics; to demonstrate the degree of influence of addictive parental figures on the antivitality of offspring and its formation. The analysis of English and Russian literature is carried out. We have convincingly demonstrated that the ACAs represents a group with an elevated, relative to normative population, autoaggressiveness, inclination to parasuicidal patterns, with difficulties in building relationships with the society and finding a place in it. Conclusions were made about the inadequacy of the studies conducted, the lack of accurate data on the transgenerational mechanisms of autoaggressive transmission to offspring, the factors influencing the heterogeneity of the ACAs a population-species group, the need to take into account the gender of both parents and the ACAs themselves. alcohol dependence, adult children of alcoholics, suicidology, autoaggression. [4-6]. This group is at increased risk for development of alcohol dependence, and also for suicidal behavior. Here, alcohol dependence in these individuals runs a more severe course than in their parents, with a tendency to a progredient course and being more malignant in character . There is a non-stopping discussion of predomination of genetic and social factors in the etiopathogenesis of the disease in the ACAs [1-3]. Here, it is known that genetic factors are reliably connected with dependence on the psychoactive substances (PAS), with a high level of specific risk (about 55%) and inheritance coefficients from 62 to 79% . Social and environmental factors also play a role in use of PAS and modify the risk of appearance of alcohol dependence, but do not predict its development [2-4]. However, the opinion that the influence of the environmental factors may be rather significant and their contribution to the development of the disease sometimes remains underestimated by both researchers and clinicians, does not permit to reduce the genesis of alcohol dependence only to influence of hereditary factors. The aim of the given review is analysis of literature data about the influence of alcohol dependence of parents on suici-dological characteristics of the adult offspring. Information about the family history is often distorted due to suppression of the problem by the family, if the child early lost parents or grew in the adoptive family or in an orphan home [1,4,5]. Test persons often prefer to give little information about their families if they were touched by an «alcoholic problem». They often either deny the disease, or, on the contrary, exaggerate the extent of the disease in the family. However, even with such artificially reduced identification of the family history of the alcohol dependence, its incidence among ACAs remains on a medium or high level (41.5 and 25.7%, respectively) [5,6]. This bare information presents a complex of genetically determined peculiarities of neurochemical processes in different systems of the brain which determines a rapid development of dependence in case of intake of alcohol, and its malignant course . The structure and functions of the CNS undergo changes. According to the literature data, the family history is associated with the evident sensation («anticipation») of a positive emotional effect after intake of alcohol [1,3,4]. It is known that in male ACAs with a highly positive family history, methods of neurovisualization reveal alterations in the «reward» system of the brain. Here, the age of start of alcohol intake is determined not by genetic, but rather by social and environmental factors. Early start of alcohol intake, like early manifestation of alcohol dependence in ACAs is predicted by existence of the «genetic burden» of alcohol dependence in relatives, by its extent, and social consequences and loss of control are determined by social factors and by disease itself, which increases autoaggression of its carriers [6-8]. If in ACAs with alcohol dependence it is rather difficult to identify genetic and environmental factors, in ACAs without alcohol dependence who grew up in families where at least one of parents suffered from alcohol dependence, it is more easy to establish the influence of environmental factors on personality-psychological and suicido-logical characteristics. A complex of psychological problems, prosuicidality, evident victimhood, social instability and spiritual tension, a focus on «rescuing» an ill relative, is a component of the so called phenomenon of codependence, many times described in the literature [5-9]. Is codependence the basis of suicidal risk of ACAs? There exist numerous research works devoted to the codependence phenomenon [4,5,9-12]. As a rule, these works include examination of wives of men suffering from alcohol dependence, and state heterogeneity of the phenomenon [9-13]. Here, different sources differently describe this phenomenon. Some authors consider it a separate nosology, other present this phenomenon as a reaction to stress, other consider it to be associated with a complete preoccupation with the state of another individual, with his behavior and control of him and with neglect of one’s own demands and requirements [5,6,9]. A hypothesis that codependence of personality is an intricate complex of pathological dependence on another individual, with evident protective psychological mechanisms reinforced by the autodestructive behavior, disadaptation reactions and non-effective ways of interaction with the surrounding people, is confirmed in some works of Russian and international authors [4,6,9-15]. They show that codependent individuals are characterized by a high level of anxiety, frustration, aggressiveness [6,9-11,16,17], which determines their social instability and creates problems with establishment of contacts and relationships with other individuals. The leading psychological protection most commonly used by codependents is strategies of avoidance and aggression mostly directed at themselves and conditioning a high suicidal risk [11,16-18]. alcohol dependent, are unlikely to have such a choice. Staying in the condition determined by financial and personal inadequacy, and by dependence on the family which should perform protective and developing function, the children of alcohol-dependent individuals have to grow in conditions of disadaptation [20,21]. The hostile situation of «dislike» in the family leads to impairment of self-esteem in children, to complications in expression of emotions, to alexithymia, suppression of feelings of shame and guilt which, nevertheless, always haunt the individual, to prodepressiveness, enhanced aggressiveness with the resultant high suicidal risk, to blind and rigid following up the goal with no taking circumstances into account . In a such disadaptive family empathy is disrupted, children are not taught love, tenderness, care giving and other positive behavioral patterns [20,21]. Such disorders in the educational aspect in children in families where at least one parent suffers from alcoholic dependence, occur at the moment of a high level of conformism in a child when he eagerly accepts norms of subjectively significant groups, and is ready to change behavior and/or convictions in accordance with the predominating opinion in the group as a consequence of a realistic or imaginary merging with it [20-23]. Children adopt the norms of social behavior, are «taught» disadaptive and destructive patterns. Children simply get used to the idea that alcohol intake is a norm [22-24]. Here, it is worth noting that getting of a teenager into a «socially favorable» group may help formation of adaptive behavior and of a healthy personality , especially if the group definitely accepts the child and supports him. In general, a strive of a child from an alcoholic family not simply to join a subjectively significant group, but to «merge» with it, is treated as an attempt to replace a parent, which explains the result of influence of the chosen social cohort on a child from the family of addicts . The patterns of behavior acquired by children of «alcoholic» families in childhood and adolescence, are transferred to adult life and to interrelations with other people [20-25]. According to the data of different research works, ACAs are characterized by peculiarities of self-perception, perception of close people, people in general, and accordingly – by problematicity of behavior, enhanced autoaggression and social disadaptation [4-6,9]. However, it is not that simple, as it seems at first sight. The data of comparative analysis of adult women from «alcoholic» families and from «healthy» families show that they and their fathers suffering from alcoholic dependence, have similar characteristics of perception . Externally, women – adult children of alcoholics – show themselves as vivid, demonstrative, socially active, they present themselves as communicative, self-dependent, dominant, egocentric and fanatic personalities, while in reality they feel like weak, will-less, helpless and dependent individuals, and they are such indeed . Often the main motivation of acts of ACAs is fear of an unexpected change of mood, of reaction of close people and of socially significant random people [4-6,9,17-21,25]. They are driven by fear of evoking disapproval, irritation, anger and aggression in the surrounding people. After 5-6 years of such life, ACAs completely stops trusting relatives and surrounding people. In an attempt to achieve a certain social status or aim, they exhibit evident then city, but are oriented not on success, but rather on avoidance of failure, since they a priori suffer from unsuccessfulness engrained in the family, and at the same time they try to seek for high appraisal of themselves by surrounding people whom they independently define as a reference group [4-6,9,17-21,25]. In this context, the ACAs cannot graduate and determine the attitude of other people to themselves. They demonstrate to unfamiliar individuals their best qualities which seem to them socially acceptable. Such behavior demonstrates their «conventional decency» with the absence of adoption of true human values, with blurring of behavioral norms which are considerably narrowed and are addressed only to selected people regarded by ACAs as «insiders». Having grown up in an «alcoholic» dysfunctional family where relationships differ from those of a «healthy» family, in the atmosphere of evident and/or concealed mutual rejection, with a priori denial of problems, with violence being a common thing, ACAs experience difficulties in differentiation of their feelings, emotions, in aim-setting and in determination of the sense of their life. It is difficult for them to foresee a real danger, since the acceptable boundaries are blurred, and ACAs grew in conventionally unsafe families. Pathological models of behavior and of emotional response adopted by ACAs in the parents’ families, are replicated in their own families [26,27]. A sincere desire of ACAs to create a family different from their parents’ family is reduced to just exclusion of visible negative behavioral manifestations and to creation of a seemingly happy family, with disadaptive and defective relationships hidden behind a «bloomy» façade [15,27]. Families of ACAs lack love, complete acceptance, open expression of feelings, emotions, tenderness, affection, mutual help, support and other obligatory components of truly familial relationships [5,9-12,25]. All the above makes children of alcoholics unprepared to life, non-adapted socially, and promotes reproduction of the same negative models of behavior in their own families which prevents adequate fulfillment by them of parental duties and promotes formation of one more generation of personality-defective, distorted and mutually dependent alcoholics-grandchildren . ACAs are characterized by enhanced auto- and heteroaggressiveness not only to themselves and their families, but also to surrounding people . Autoaggresiveness is manifested by depressive settings, non-acceptance of themselves, by persistent but suppressed feelings of shame and guilt that find no way out. This range of emotions belongs to the so-called self-conscious emotions associated with perception of oneself, of one’s ideas and acts, with self-conception in the interpersonal contacts, and is a regulator of behavior [16,30]. Shame triggers a negative estimation of oneself, while guilt triggers a negative estimation of one’s acts. From this it follows that experiencing shame emotion is most painful, since it devaluates a personality as such and in comparison with others. Such a tough assessment of oneself as unsuccessful, helpless and miserable, causes a fear of rejection of him/her by other people and by socially significant individuals, which in turn activates compensatory mechanisms in the form of both auto- and heteroaggression, and in avoidance-directed behavior [5-16]. All this in complex creates a depressive background that provokes enhanced suicidality, bearing in mind the adopted blurred safety boundaries and inability to correctly assess risk [7,8,11-18]. Besides, this destructive personality-psychological and social background may influence formation of addictive behavior, in particular, of alcohol dependence [4,9-12,18,20-25]. There exist scattered, separate, non-systematized data concerning a role of the family in formation of alcohol dependence [1,4,10,13-15,19,23-27,29-33]. However, all the data converge on the idea about only «alcoholic» and «destructive» families being stable basic markers of the risk for initiation and formation of alcohol dependence at young age. In this context of interest is the theory of epigenetic transmission of alcohol dependence as of a disadaptational coping strategy [27,33]. In this situation addictive behavior is a way to escape salvation of the vital problems which in turn leads to a deeper social disadaptation thus closing a vicious circle of alcohol dependence. Children whose parents suffered from alcohol dependence, develop negative affection patterns within the first six months of life: low emotional response, rare positive messages to parents, and at the age of 18-36 months reveal peculiarities of behavior with internalization of conflict [26,31]. Here, according to some data, alcohol dependence of a mother is more detrimental for a child’s personality, since it disrupts symbiotic relationships that are necessary for survival of the child and are established within the first years of life . But affection to a healthy mother practically absolutely neutralizes negative influence of a father . Disorders associated with intake of alcohol in the family are conceptualized as a chronic stress that can lead to prolonged long-term consequences for children growing in these families [4-6,11-20,23,27,28]. A family (even an «alcoholic» one) is not an exclusively homeostatically closed system. Connections between children and their educators not only influence formation of future interpersonal relationships, but also play a role in appearance of adaptation problems in the offspring [4-6,11-23,27-30]. In one of research works  alcoholic families were divided into three groups using method of cluster analysis: families with high, medium and low intensity of variables associated with family stability (agreement between family members, existence of firm moral convictions, communication between family members and the surrounding people, settlement of family problems, adaptive capacity of family members). The control group included families without addictive locus of damage. In result it was found that despite the fact of existence of high-functioning clusters among alcoholic families, children of individuals suffering from alcohol dependence, have 3-4-times higher risk of development of alcohol dependence than children from the control group. Daughters of alcoholics more often get married to men suffering from alcoholic dependence, thus continuing «alcoholic family cycle» for future generations . Although not all ACAs become alcoholics, they more commonly than individuals from normative families, expose themselves to suicidal risk and encounter autoaggression problems throughout the life. Research shows that the personality may mediate intergenerational connection with alcohol dependence through many ways of realization of premorbid predisposition . One of these ways is genetics, another way – psychosocial factors: modeling and identification with an alcoholic parent, or, on the contrary, deidentification. In these cases two variants of delinquent behavior are seen: in the first case – an excessive aspiration to achievements (as a rule, in work) and high effectiveness, which, both in combination and separately, considerably exceed the normal level (able and highly professional pupils, exhibiting extraordinary talents and ambitions, adoring their teachers and getting roles in school authorities). In the second case it is enhanced autoaggression with harmful for health manifestations (use of narcotics, use of alcohol, debauchery), with social risks (criminality, road accidents), with existence of risks for mental health (murder, suicide, depression, panic and anxiety) . One may have a desire to say about representatives of the first group that their superadaptation is only to their benefit, but on deeper examination this point of view appears wrong. A tendency to work a holism, avoidance of problems, «escape into work», itch to achieve more and break out from the «family hell» only increase the risk of somatization, depressiveness, autoaggression on a concealed, invisible for a specialist and that is why dangerous, level . Multiple investigations of personality of ACOAs (including foreign works) demonstrate their heterogeneity as of a group which is associated with a difference of dysfunction continuum engrained to children in «alcoholic» families [35,36]. Thus, one research work distinguishes five personality subgroups among ACAs . Their continuum includes personalities from high-functioning one to adults who exactly repeat the destiny of their parents and are absolutely socially disadapted. Here, the authors conclude that heterogeneity of ACAs group is not occasional, but is based both on the level of defect of a personality and on the level of adaptation of a personality in social medium . According to the systems theory, such atmosphere in the family does not promote a correct differentiation of ego, and individualization is regarded as a threat to the system homeostasis [19,37,38]. Results of empiric research show that an experience of interaction with a physically and emotionally inaccessible parent who is mostly focused on alcohol, subjects a child to a trial with relational trauma . Consequently, this prevents the process of separation – individualization. Resting on the above mentioned theoretical frames it was suggested that women who experience problems with addicted parents, more commonly demonstrate disorders in the process of separation – individualization, as compared to women who did not grow in families with alcoholic problems . Some authors believe that ACAs do not want to burden their parents with the responsibility for what is going on in the families and at the same time want to protect the internal positive perception of them . Because of this, they direct their negative emotions to themselves and finally begin to experience a feeling of guilt. Sometime ACAs feel guilty toward the parents because they leave the house and do not help them, or whatever paradoxical it seems, they feel guilty of being too much concentrated on their own family instead of helping the parents . An important factor for identification of a complex of psychosocial, suicido-logical and personal peculiarities of ACAs is gender both of ACAs themselves and of their parents and representation in them of alcohol dependence. There is no doubt that the gender of a parent suffering from alcohol dependence will influence psychological and suicidological characteristics of a child in different ways. And here it is also important to take into account the gender of a child, since mother and/or father have a different significance for a son or daughter. These parental figures internalize differently and play different roles in formation of a personality of ACAs . At present, as it is confirmed by scientific literature data, it is required to more clearly formulate hypotheses and model research concerning problems of alcoholism and to take into account interactive dynamics of risk factors, of protection, and gender both of parents and of ACAs. These factors should be taken into consideration in any attempts to understand paths of development of people growing in families suffering from alcoholic dependence. Thus, taking into consideration prevalence of «alcoholic» families, an important problem is adult children of alcoholics that carry a significant autoaggressive impulse with transgeneration mechanisms of transmission. There is an increasing interest in the phenomenon of codependence in adult children of alcoholics, which probably manifests in them differently than in spouses in such marriages. It is of no doubt that a group of adult children of alcoholics is heterogeneous in terms of both personality-psychological characteristics, and of the level of social functioning. But, however, up to the moment neither mechanisms, nor conditions of formation and growth are found that influence the given split. No research works are published that could take into consideration a complex of risk factors, protection factors and gender of adult children of alcoholics and their parents which undoubtedly produces influence on decomposition of a social layer of adult children of alcoholics. Bearing in mind the data of literature review, adult children of alcoholics, whatever successful they fancy themselves in the society, represent a highly autoaggressive group requiring enhanced attention of crisis psychiatric, narcological and psychological services. Kibitov AO. Semeynaya otyagoshchennost’ po narkologicheskim zabolevaniyam: biologicheskiye, geneticheskiye i klinicheskiye kharakteristiki. Sot-sial’naya i Klinicheskaya Psikhiatriya. 2015;25(1): 98-104. (In Russ). Ruzhenkov VA, Lukyantseva IS, Ruzhenkova VV. Addictive behavior of students: classification, prevalence, clinical symptoms and prevention. Scientific Bulletins of Belgorod State University. Series: Medicine. Pharmacia. 2015;10(207,30):13-25. (In Russ). Koroleva EG. Alcohol and offsprings. Journal of the Grodno State Medical University. 2015; 52(4): 103-7. (In Russ). Baykova MA. Vzrosloye potomstvo bol’nykh alko-golizmom: kliniko-psikhopatologicheskiye osoben-nosti (obzor literaturnykh dannykh). Zdravookhra-neniye Yugry: Opyt i Innovatsii. 2016; 9(4):45-50. (In Russ). Merinov AV, Shustov DI, Lukashuk AV. Vzroslye deti alkogolikov: suitsidologicheskie i eksperimen-tal’no-psikhologicheskie kharakteristiki. Vestnik Vitebskogo Gosudarstvennogo Meditsinskogo Universiteta. 2015;14(1): 97-102. (In Russ). Tsygankov BD, Vaulin SV. Suitsidy i suitsidal’nye popytki (klinika, diagnostika, lecheniye). Smolensk: SGMA; 2012. (In Russ). Vaulin SV. Suitsidal’nye popytki i nezavershennye suitsidy (gospital’naya diagnostika, optimizatsiya terapii, profilaktika) [dissertation]. Moscow; 2012. Available at: http://medical-diss.com/docreader/354 138/a?#?page=1. Accessed: 08 Oct 2018. (In Russ). Kuznetsova IN. Opyt raboty so vzroslymi det’mi alkogolikov po teme «Chuvstvo sobstvennogo dostoinstva». Problemy Pedagogiki. 2017;29(6):36-40. (In Russ). Kozhina EU. The family influence on adolescent development. Prevention of addictive behaviours. Izvestia Voronezh State Pedagogical University. 2016; 272(3):194-9. (In Russ). Litvinova VV. Clinical and psychological characteristics of adult children of alcohol addicts. Tyumen Medical Journal. 2017;19(1):33-6. (In Russ). Molotkova SV. The experience of studying codependent relatives in the family with chemical addiction. Vestnik Kaluzhskogo Universiteta. 2015;28 (3):114-8. (In Russ). Andreas JB, O'Farrell TJ. Alcoholics Anonymous attendance following 12-step treatment participation as a link between alcohol-dependent fathers' treatment involvement and their children's externalizing problems. J Subst Abuse Treat. 2009; 36(1):87-100. doi: 10.1016/j.jsat.2008.05.006. Rangarajan S. Mediators and Moderators of Parental Alcoholism Effects on Offspring Self-Esteem. Alcohol and Alcoholism. 2008;43(4):481-91. doi: 10.1093/alcalc/agn034. Uzlov ND. Vina, styd i lichnostnye osobennosti materey, ch'i vzroslye deti stradayut alkogol'noy i narkoticheskoy zavisimost'yu. Lichnost' v Ekstremal'nyh Usloviyah i Krizisnyh Situaciyah Zhiznedeyatel'nosti. 2016;6:325-33. (In Russ). Razvodovskiy YuE. Epidemiologiya alkogolizma v Belorusii. Voprosy Narkologii. 2017;154(6):61-3. (In Russ). Gryaznov AN, Baskakova VE, Sharafiev ES. Characteristics of students prone to addictive behavior. Problems of Modern Pedagogical Education. 2017; 54-5:320-6. (In Russ). Waldron M, Bucholz KK, Lynskey MT, et al. Alcoholism and Timing of Separation in Parents: Findings in a Midwestern Birth Cohort. Journal of Studies on Alcohol and Drugs. 2013;74(2):337-48. Rozenova MI, Aslamazova LA, Ermolaev VV, et al. Psihologicheski problemy sovremennoy sem'i: opyt izucheniya i praktiki raboty. Moskow: IIU MGOU; 2016. (In Russ). Rezvaya TN, Samsonov AS, Kutashova LA. Psychological analysis of the phenomenon codependency. Centralnyy Nauchnyy Vestnik. 2017;2(1,18): 26-34. (In Russ). Merinov AV, Lukashuk AV, Filippova MD. The prevalence of chemical addictions has «adult children of alcoholics». 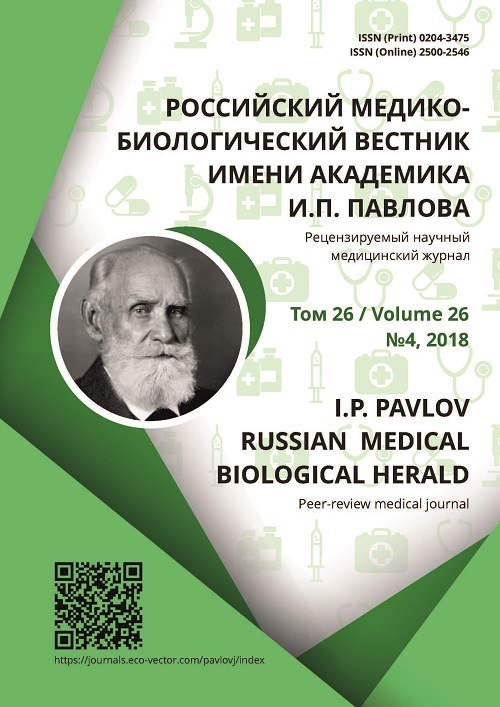 Tyumen Medical Journal. 2015; 17(4):21-4. (In Russ). Lukashuk AV. Rol' sem'i v geneze suitsidal'nogo povedeniya podrostkov. In. : Aktual'nye Voprosy Sovremennoy Meditsiny: Vzglyad Molodogo Spetsialista. Materialy II Vserossiyskoy nauchnoy konferentsii studentov i molodykh spetsialistov. Ryazan'; 2016:169-70. (In Russ). Lukashuk AV, Filippova MD. The relationship of alcohol dependence parents and addictive behavior of their children. Lichnost' v Menyayushchemsya Mire: Zdorov'e, Adaptatsiya, Razvitie. 2015;2(9): 32-9. (In Russ). Taschёva AI, Bedredinova SV. Codependency girls from alcoholic families in the mirror of problem behavior. In. : Psikhologicheskie problemy sovre-mennoy sem'i. Sbornik tezisov VI Mezhdunarodnoy nauchnoy konferentsii. Moskow-Zvenigorod-Ekate-rinburg; 2015:640-5. (In Russ). Martynova AA. Transgenerational mechanisms of translation chemical dependency offspring. Nauka molodyh (Eruditio Juvenium). 2016;3:40-4. (In Russ). Hussong A, Bauer D, Chassin L. Telescoped Trajectories from Alcohol Initiation to Disorder in Children of Alcoholic Parents. J Abnorm Psychol. 2010;117(1):63-78. doi: 10.1037/0021-843X.117.1.63. Lee MR, Chassin L, MacKinnon D. The Effect of Marriage on Young Adult Heavy Drinking and Its Mediators: Results From Two Methods of Adjus-ting for Selection Into Marriage. Psychol Addict Behav. 2011;24(4):712-8. doi: 10.1037/a0020983. Brown-Rice KA, Scholl JL, Fercho KA, et al. Neural and psychological characteristics of college students with alcoholic parents differ depending on current alcohol use. Progress in Neuro-Psycho-pharmacology and Biological Psychiatry. 2018; 81(2):284-96. doi: 10.1016/j.pnpbp.2017.09.010. Muzychenko AV, Pevets OV. Problema psikhologicheskogo soprovozhdeniya i vospitaniya podrostkov v usloviyakh alkogolizatsii roditeley. Psikhologicheskoe Soprovozhdenie Obrazovatel'nogo Protsessa. 2015;2(5-2):302-9. (In Russ). Hussong AM, Chassin L. Stress and coping among children of alcoholic parents through the young adult transition. Development and Psychopathology. 2004; 16(4):985-1006. doi: 10.1017/S0954579404040106. Kim HK, Lee MH. Factors Influencing Resilience of Adult Children of Alcoholics among College Students. J Korean Acad Nurs. 2011;41(5):642-51. Hansson H, Rundberg J, Zetterlind U, et al. An intervention program for university students who have parents with alcohol problems: a randomized controlled trial. Alcohol and Alcoholism. 2006; 41(6):655-63. doi: 10.1093/alcalc/agl057. Hinrichs J, DeFife J, Westen D. Personality Subtypes in Adolescent and Adult Children of Alcoholics: a Two-part Study. J Nerv Ment Dis. 2011;199 (7):487-98. doi: 10.1097/NMD.0b013e3182214268. Pasternak A, Schier K. Psychological birth – the separation-individuation process among female Adult Children of Alcoholics. Alcoholism and Drug Addiction. 2014;27(4):305-18. doi: 10.1016/S0867-4361(14)70022-7. Copyright (c) 2018 Baykova M.A., Merinov A.V.